You wont find a gym without one. They’re often held up as an example of everything that’s wrong with 21st century living. They have, after all, taken people from nature and natural living, and put them into air conditioned, insipid and soporific spaces. But the truth is, treadmills offer a lot of advantages over running outdoors. Treadmill running by no means replaces outdoor running, but it is an awesome alternative. Either it gets people running who’d never consider running outside, or it allows outdoorsy runners to keep on running when time of day, season, location, time constraints (lunchtime run anyone?) or various safety concerns might otherwise stop them from running in the great outdoors. What’s not to love? 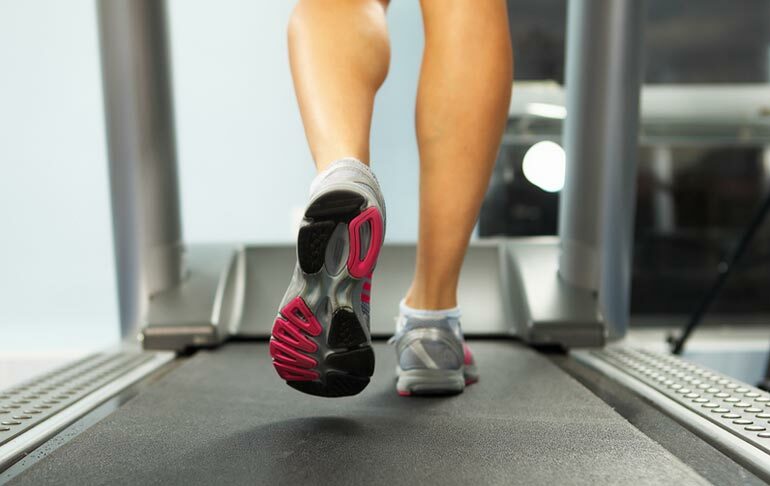 Wear the right shoes for running on a treadmill. Running shoes are best. No running barefoot or in sandals! Keep a water bottle close by so you can stay properly hydrated during your workout. And don’t forget your towel! Increasing any of these variables means that you’ll be working your heart, lungs and muscles a little harder, which pushes you out of your comfort zone, making you more fit. You should aim to change all three variables to make your workout tougher. 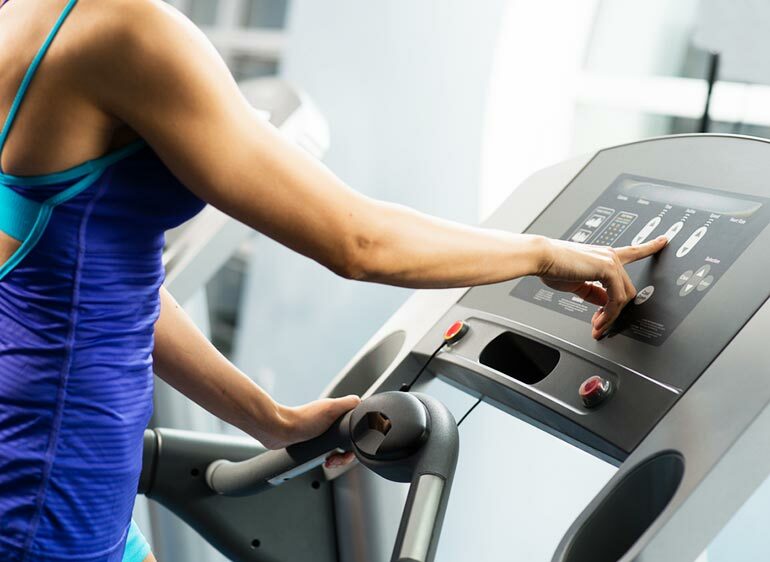 Most treadmill accidents are caused by “user error” and are generally avoidable. But apart from mistakes that result in physical injury there are quite a few that can lead to your running workout being less effective than you’d want. To get the most out of your workout, avoid these common treadmill mistakes. Over relying on the handrails. If you’re worried about falling, you might be running at too fast a pace. Running while holding on to the handrails has a massively negative impact on your running posture and form. It forces you into a hunched position, leading to poor running form, which in turn make running uncomfortable and even worse may lead to neck, shoulder, and back pain. For proper running form, let go of the handrails and “run tall”, look ahead and keep your shoulders level. Setting the incline too steep. Stepping off the treadmill while the belt is still moving. 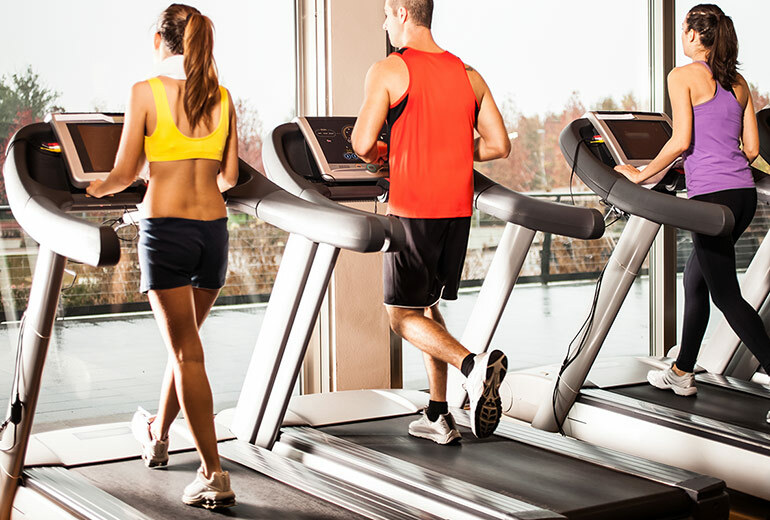 This is a common cause of treadmill injuries. Reduce the pace and incline, and wait until the belt has stopped moving. Seriously how much time do you think you’re really saving? If you are doing interval training stepping on and off quickly may be unavoidable as some treadmills are slow to decelerate and speed back up. However, if you do decide to jump on and off do so very carefully and consider using an alternative exercise machine such as a rower or bike for your interval training. If you turn to talk to your neighbor, make sure you don’t inadvertently travel over to the side of the belt and off the edge. Nobody looks cool falling off a treadmill – plus you might get injured. Training on the treadmill to run outdoors. Due to the even “terrain” and because the belt pulls your feet under you, your muscles work differently when you run on a treadmill compared to running outdoors. Also the lack of wind resistance makes running on the treadmill a little easier. This means that even though you can get very fit for treadmill running, this doesn’t necessarily translate to improved running performance outdoors. If you want to be able to run outdoor with relative ease, run on an incline and include hill running sessions on the treadmill a couple of times a week. If you can, mix in some outdoor running sessions with your treadmill runs.